Epcot I heard wasn't that great and when I was younger I didn't end up going to it, so this year I wanted to see for myself what it was like. And I am glad I did. It was a very relaxing park with lots to see, actually I wish I had spent more time in this park. We had fast pass booked for three things, both of the Finding Nemo rides and the best one of all, Test Track. I booked that one in for Mr P as I knew he would like it but I think we all liked it. 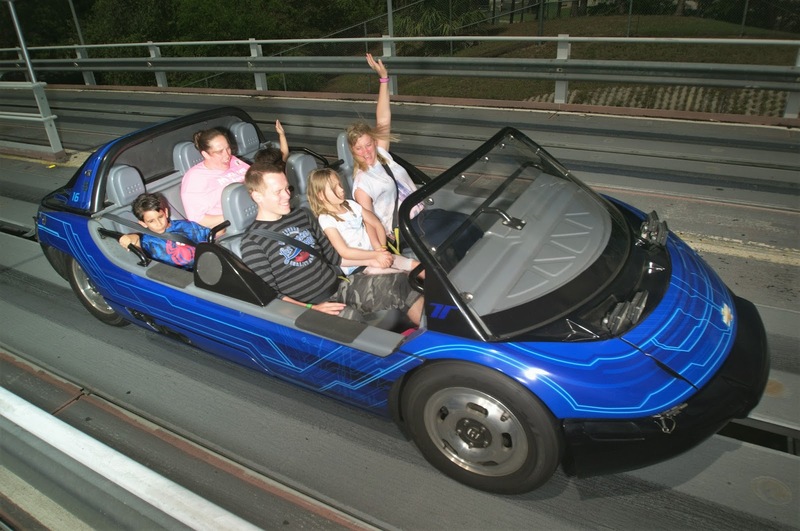 It was fun that you have to design the car first and then once on the ride (in the car) you get to test it out in all different weather conditions then get to go really fast outside. If the line hadn't have been that long I would have gone on it again. The nice chilled out bit was walking around the worlds, each of them looked so pretty. We spent a lot of time looking for characters and I found Mulan who Little Miss P wanted to see as she had been doing a play at school about her. We also saw Alice from Alice in Wonderland, Mary Poppins and Joy & Sadness from Inside Out. The line was an hour, which was the longest we had line up for something all week. Next time we go I really would like to just walk around and look more inside of each part and take some more photos of the place as it's a really pretty place. Also I would have liked to try more of the food in each 'country' and more of the food around Disney in general. Please check My daughter Youtube video she would love you to.